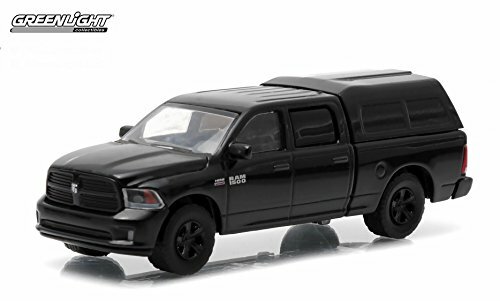 2014 RAM 1500 SPORT * Black Bandit Collection Series 12 * 2015 Greenlight Collectibles Limited Edition 164 Scale Die-Cast Vehicle. First introduced in 2004, each Black Bandit car is meticulously produced with a triple-black theme. Black body paint, black interior detail, and custom black wheels are the distinguishing characteristics of these outlaw vehicles. The sleek styling of these renegade die-cast replicas will make you want to collect them all. Die-Cast Metal Chassis - Specially designed for the adult collector 164 Scale. Vehicle measures approximately 3.75 inches long. Ages 8 and up. From Greenlight Collectibles.